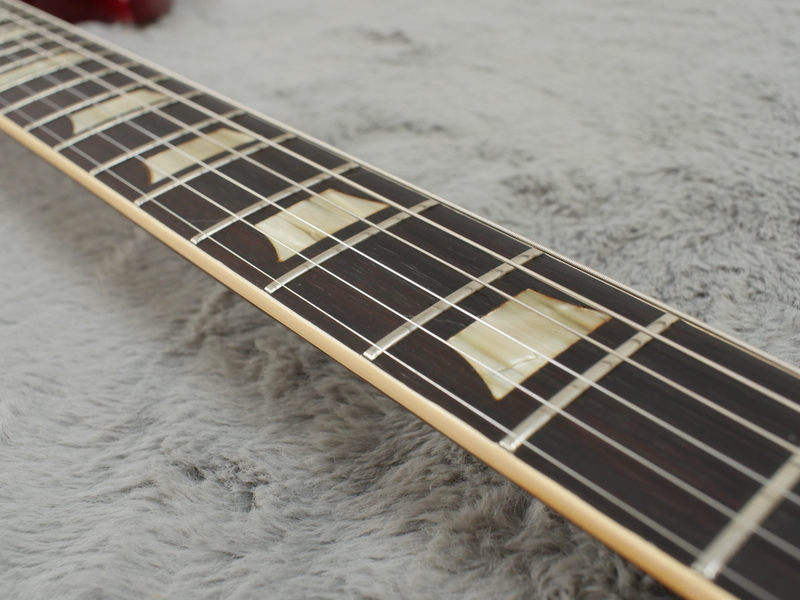 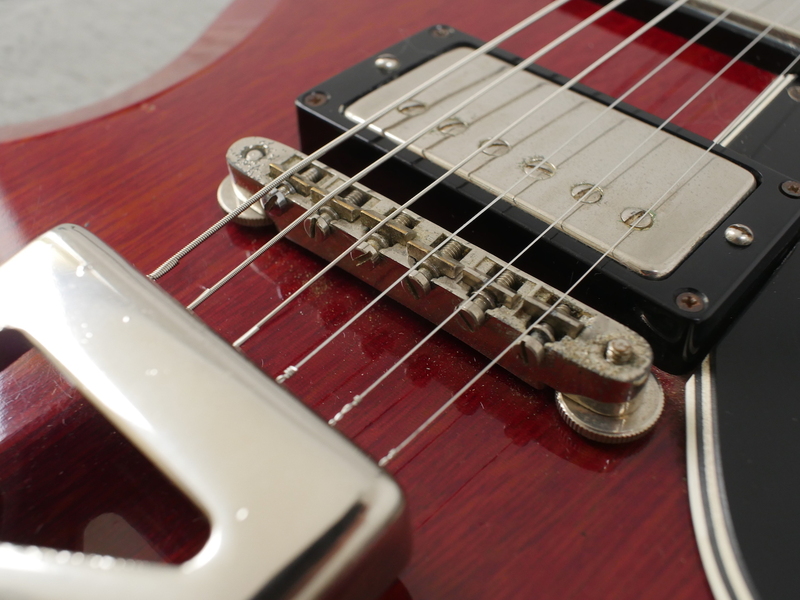 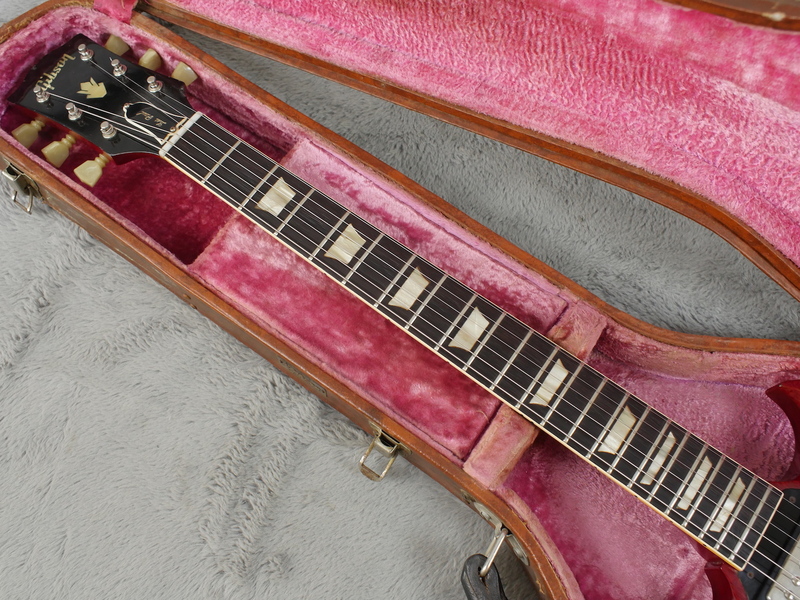 This is a beautiful, first year, early 1961 Les Paul Standard with all the early appointments and two smoking PAF pickups in mighty fine condition. 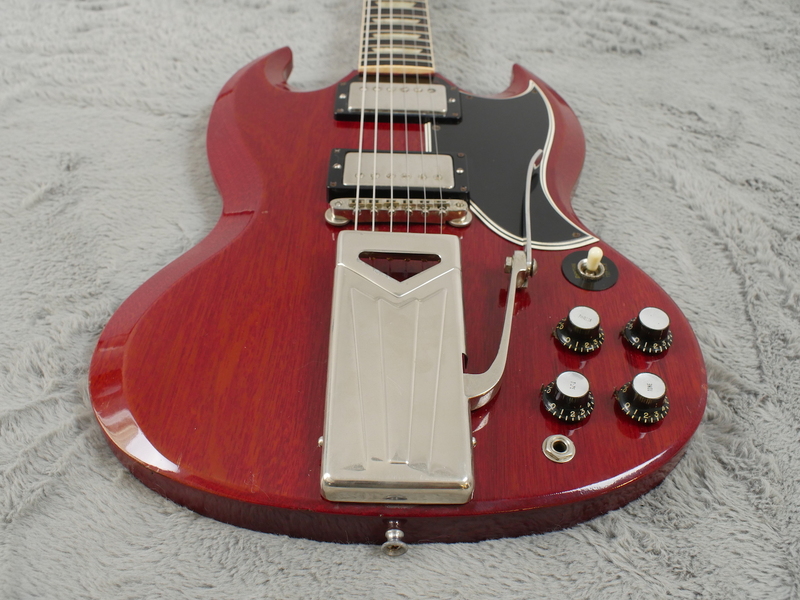 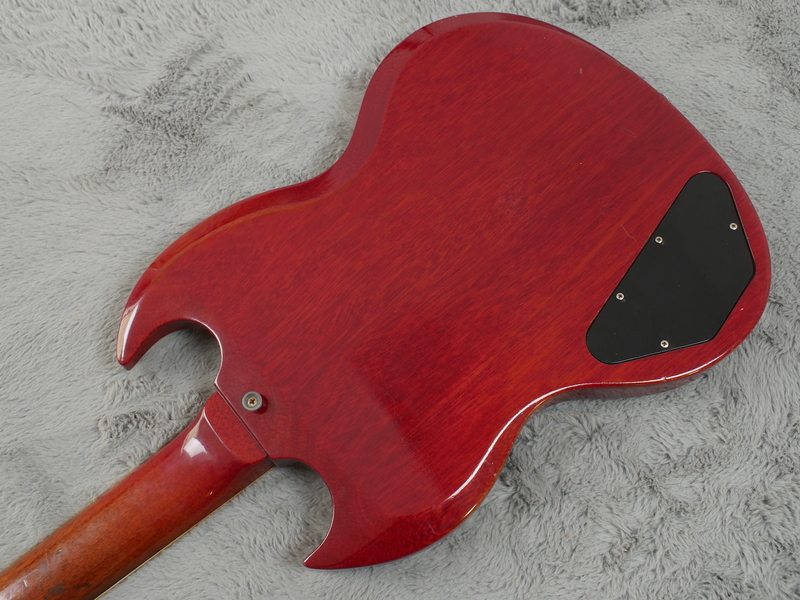 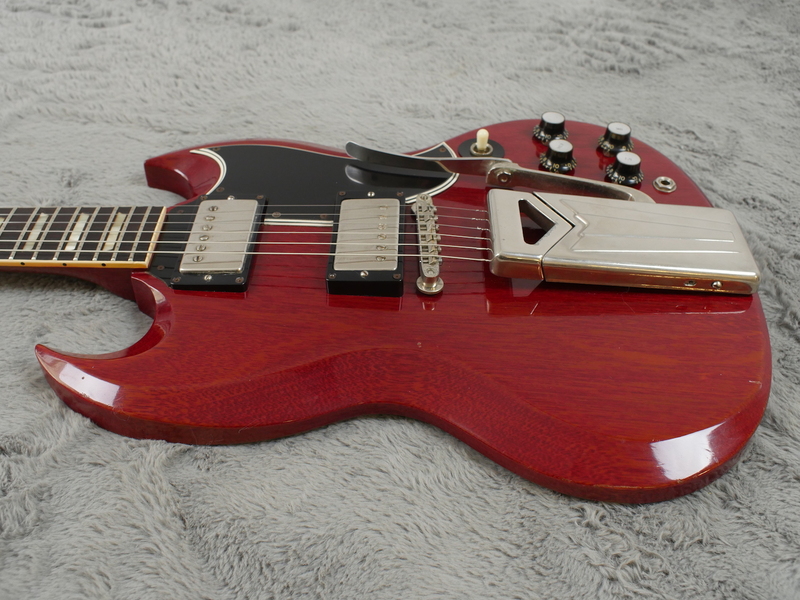 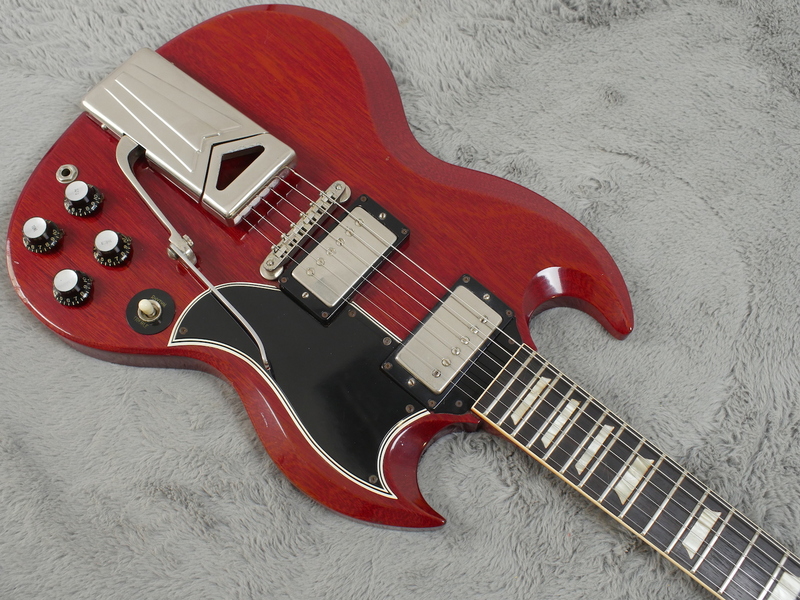 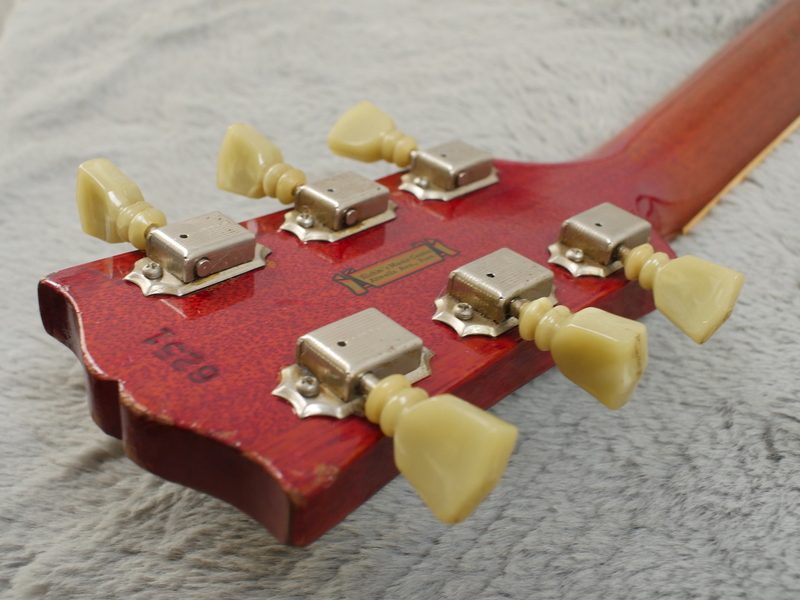 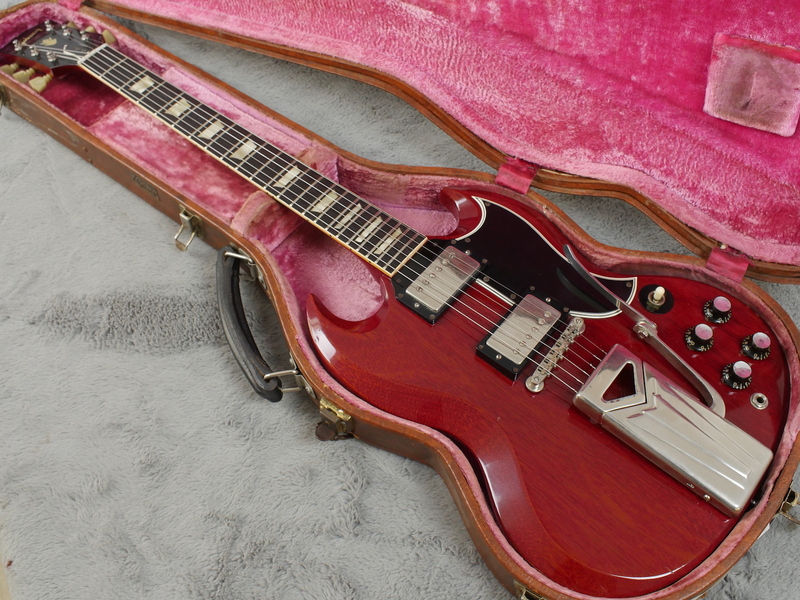 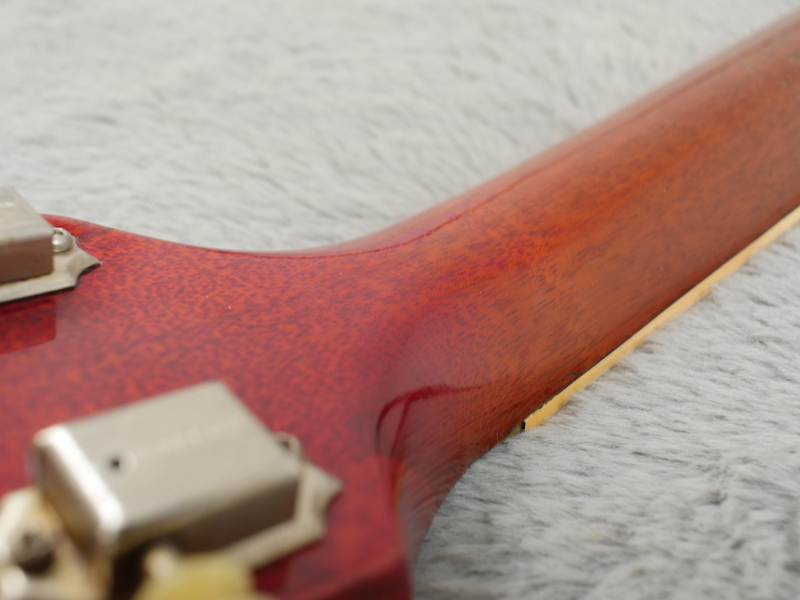 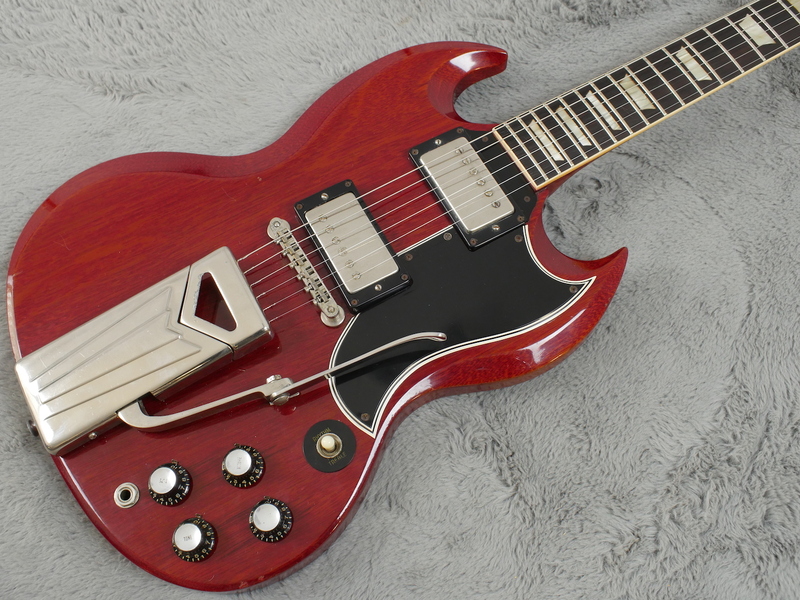 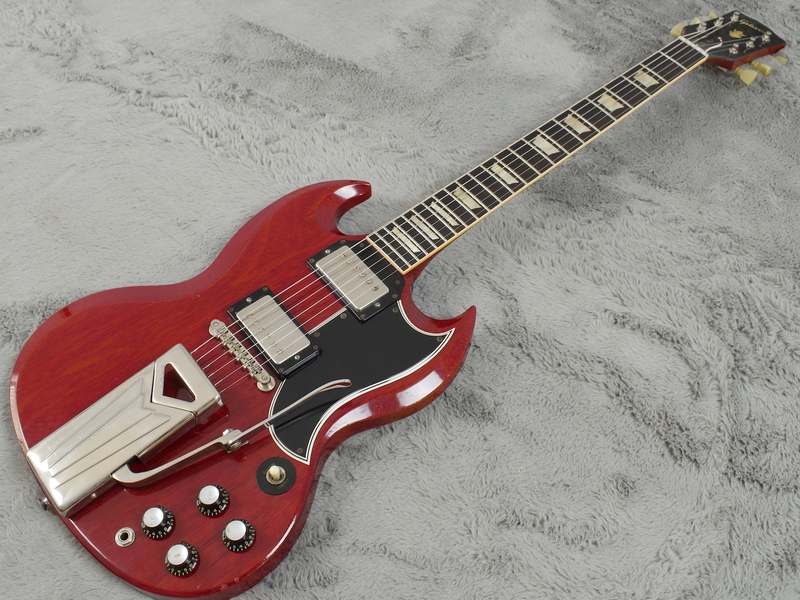 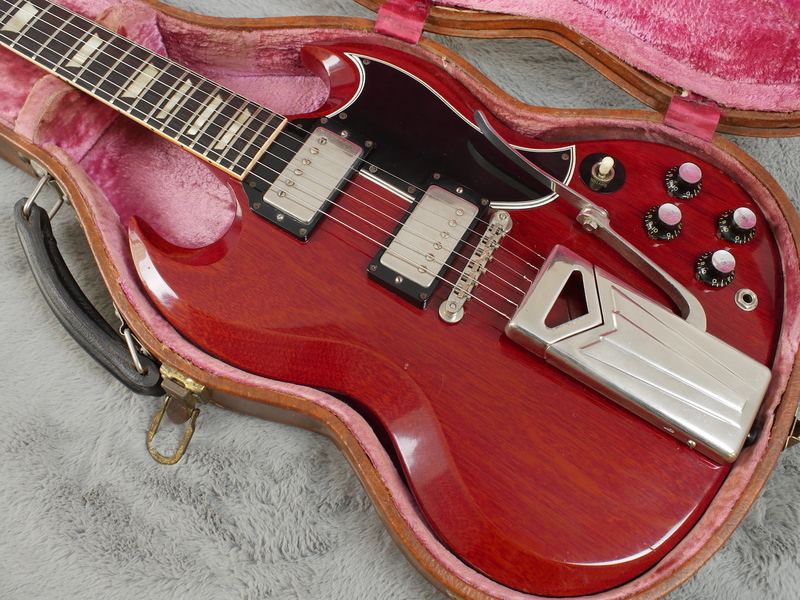 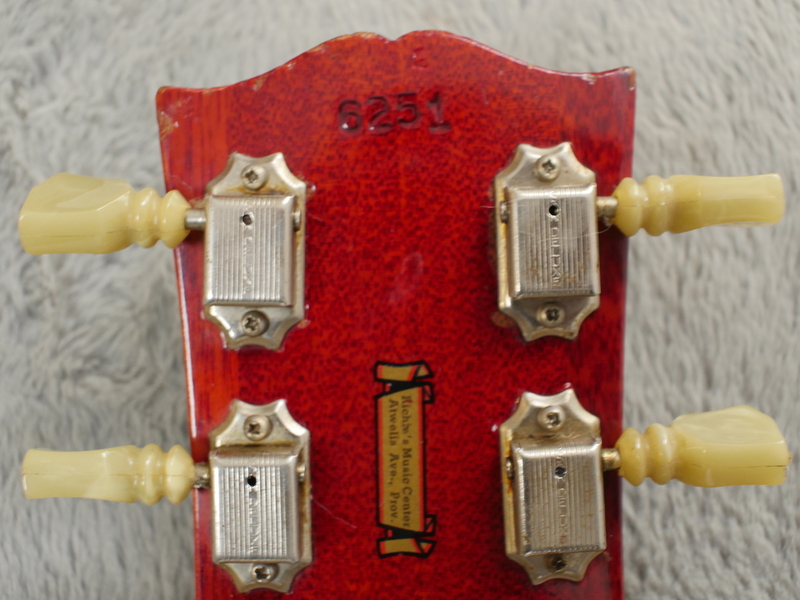 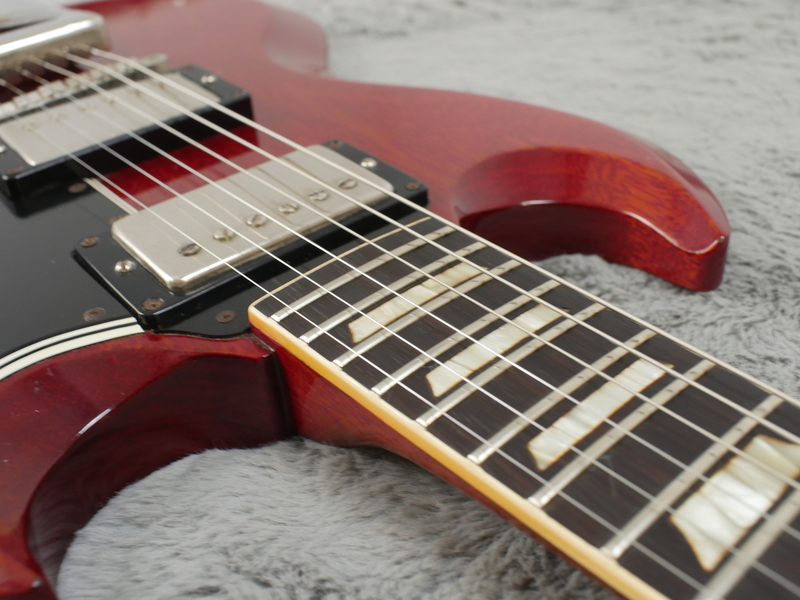 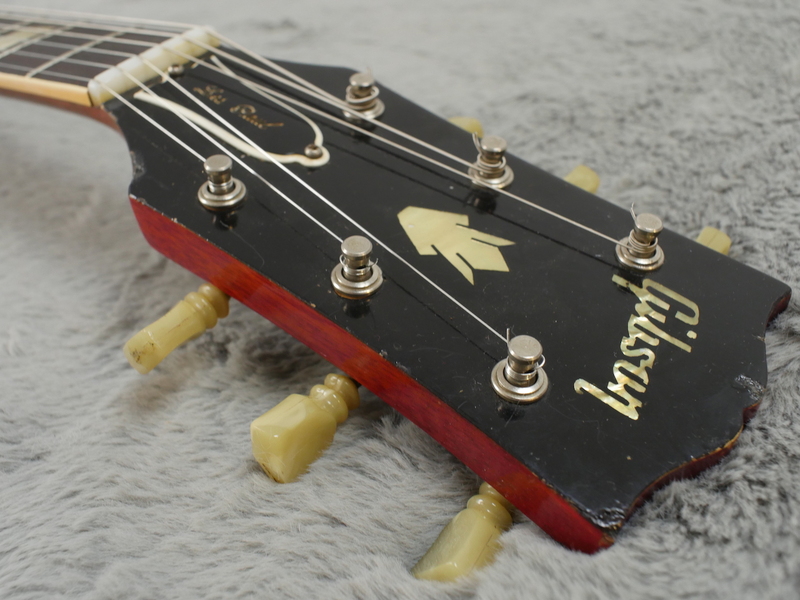 Very early 1961 with 4 digit serial number and 1960 pots, this is one of the sought after first issue SG shape Les Paul’s that has all the desirable, early hallmarks like the slightly extended pick guard with a wider bottom ply, shallow dish knobs and the first neck joint incarnation that has seen amazingly, no repairs or cracks whatsoever. 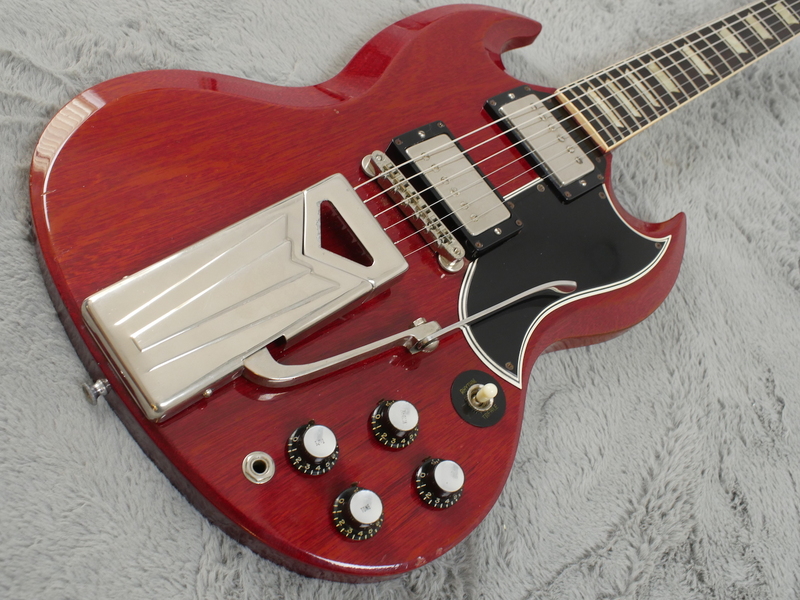 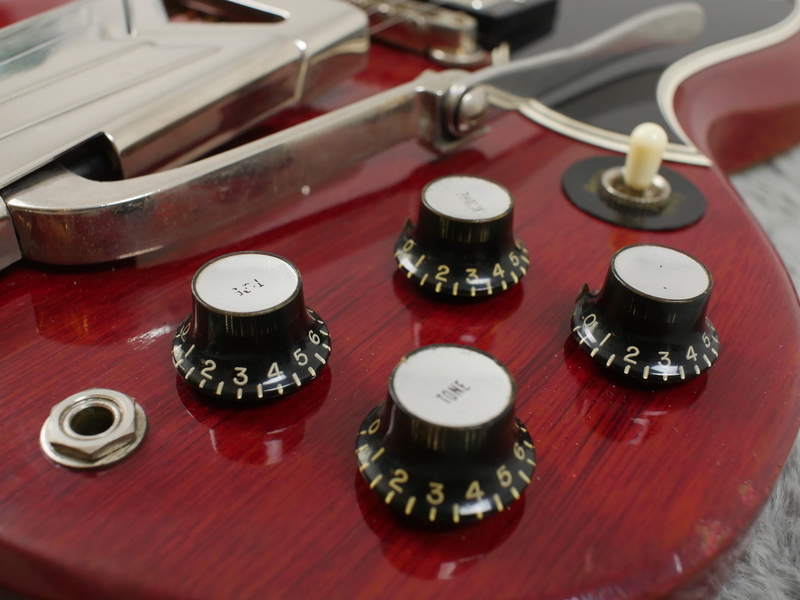 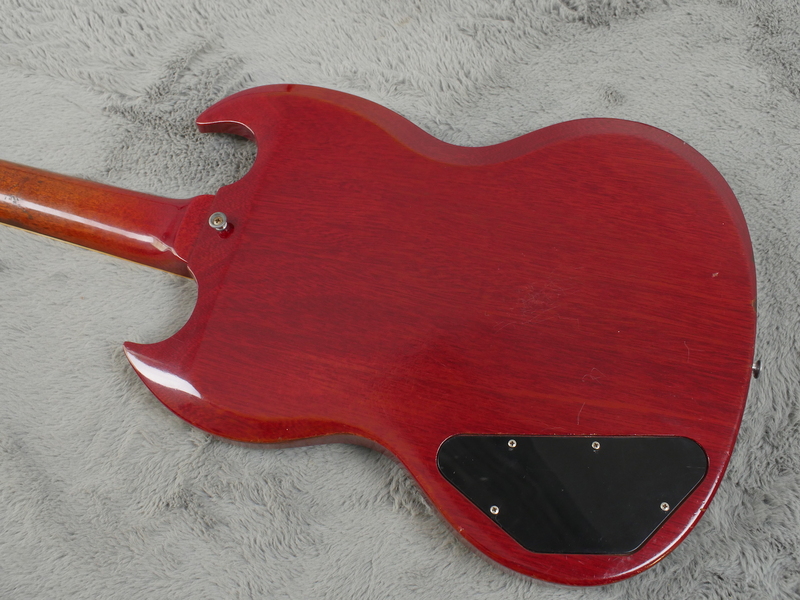 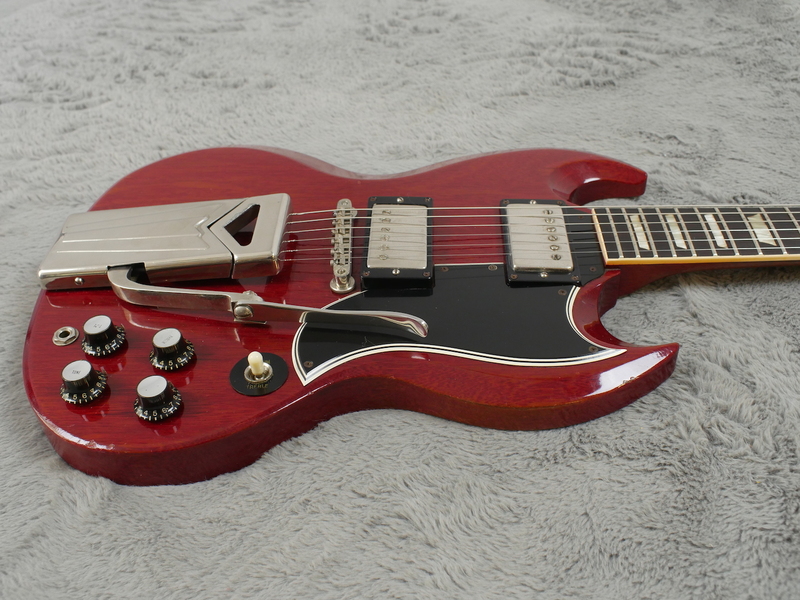 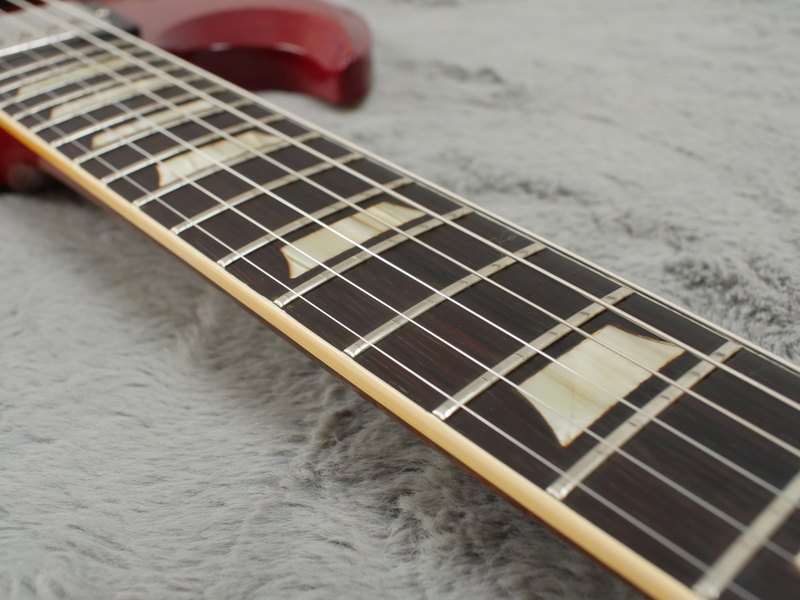 Interestingly enough, this one is just 13 serial numbers away from that Polaris white SG Standard we had for a brief time, a few weeks ago and has all the same early features. 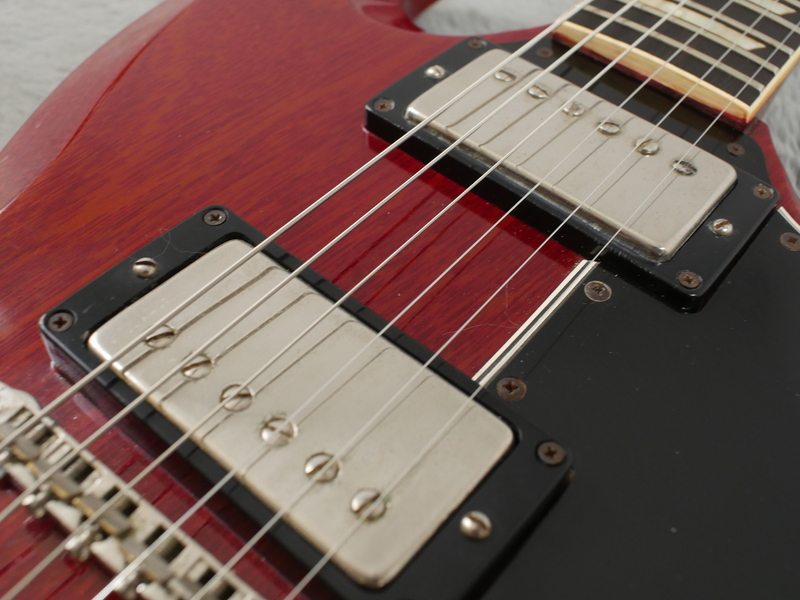 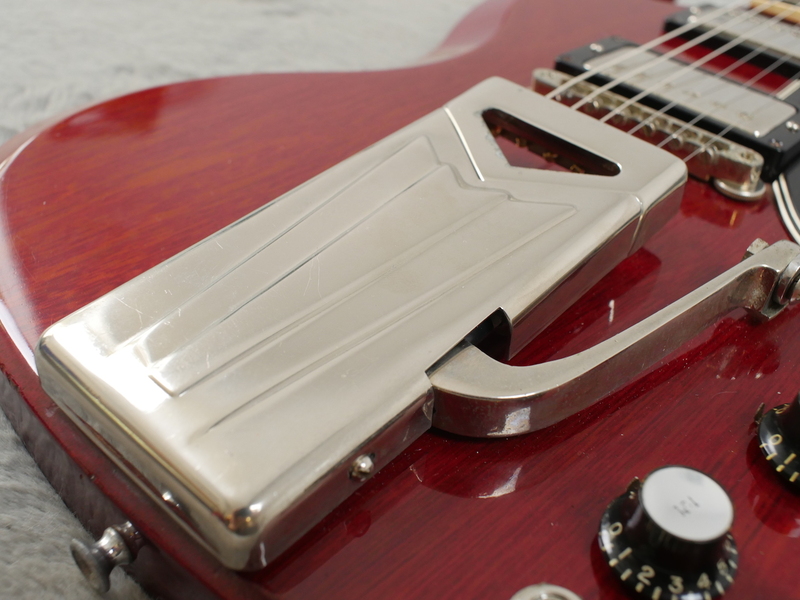 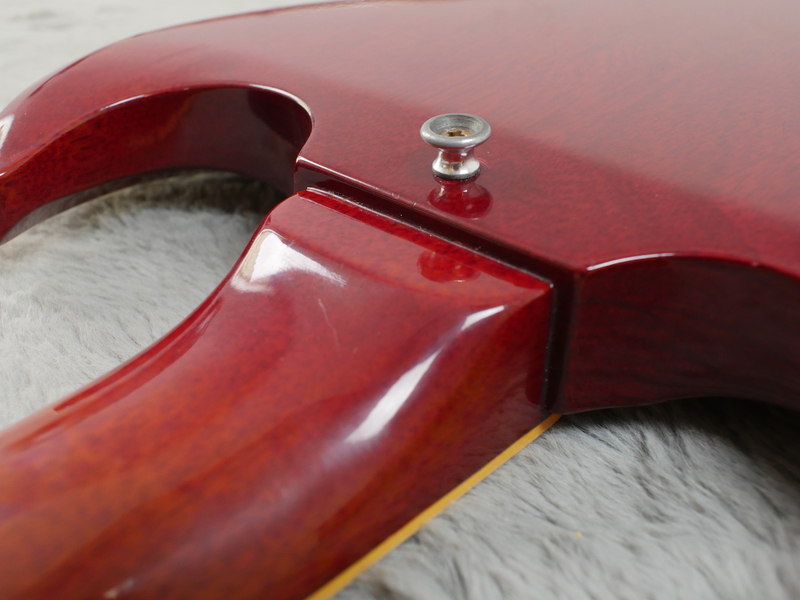 2 x smoking hot PAF pickups with undisturbed solder on the covers are a more than capable heart for this lovely, lightweight guitar. 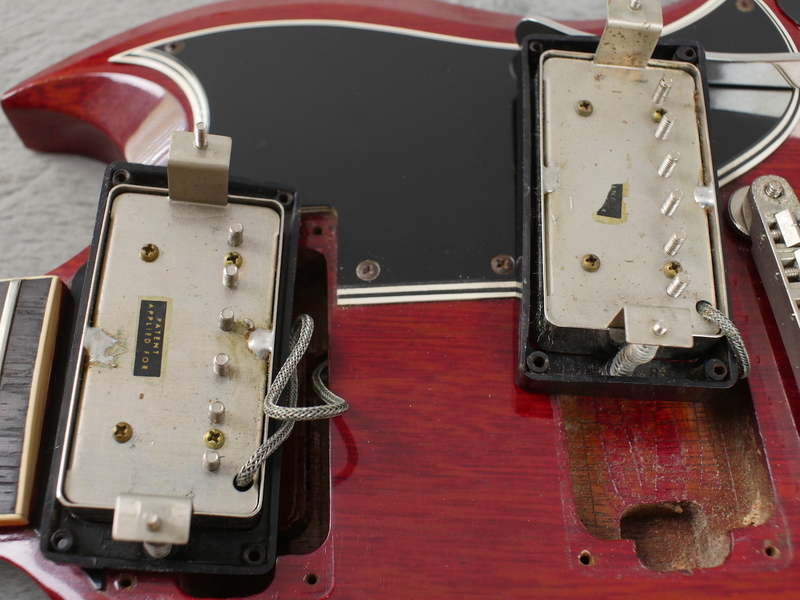 Both pickups are nicely balanced with non offset stickers and DC readings of 8.05k and 7.9k which are typically what you would expect on a long magnet, non auto stop PAF’s from the late 50’s and early 1960. 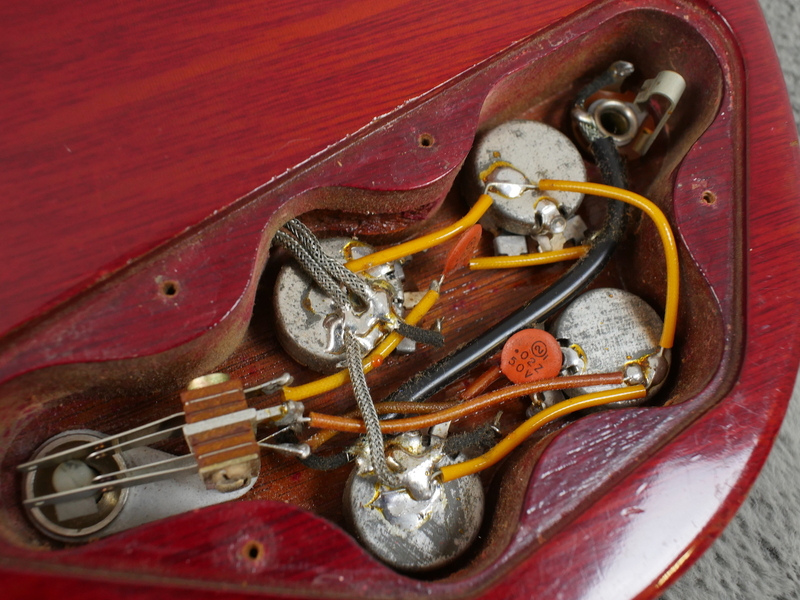 No disturbed solder on this one and perfectly functioning electrics make this a damm fine LP/SG and makes you realise why these fist generation 1961 LP’s are more sought after and favoured by the likes of Gary Rossington, Dickie Betts, Duane Allman and Derek Trucks. 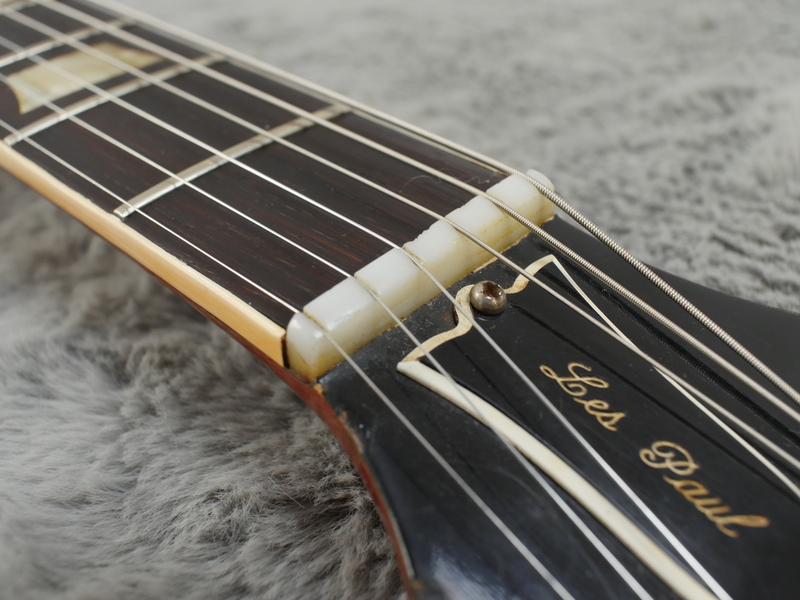 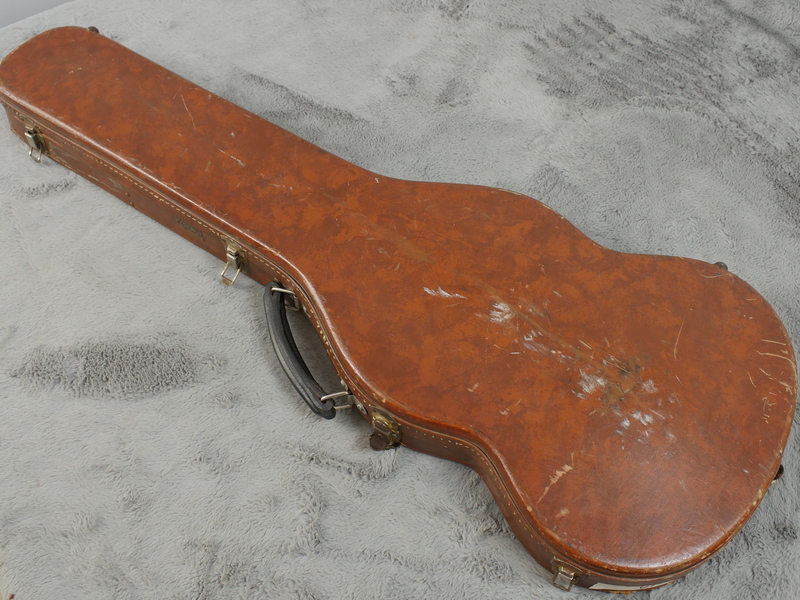 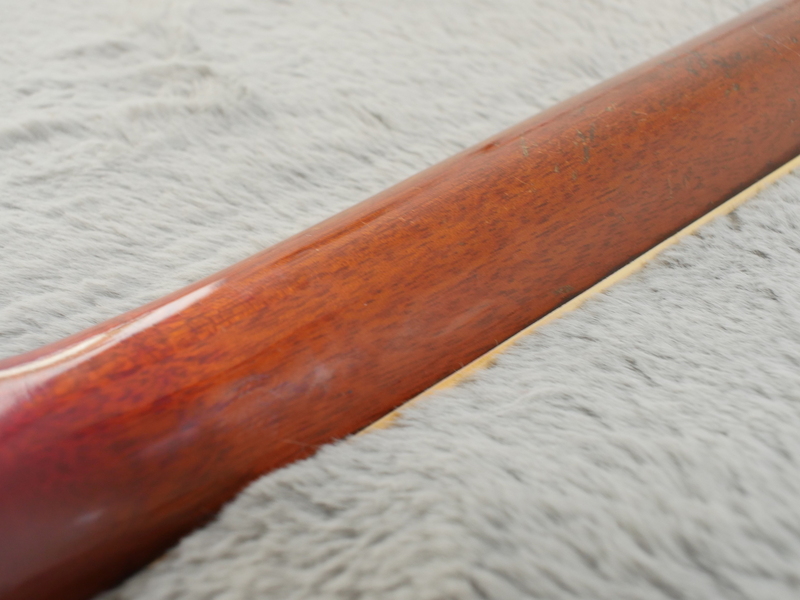 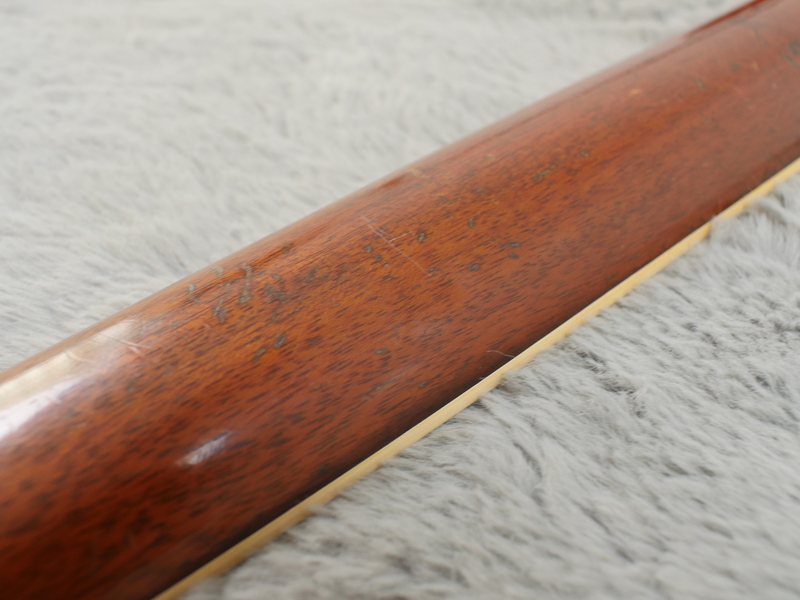 This beauty is in totally superb condition, there are a few very minor dings here and there and a bit of fade on the back of the neck but I think you can see from the many pictures in the image gallery, it has been extremely well cared for and we think it is one of the nicest examples we have seen of late. 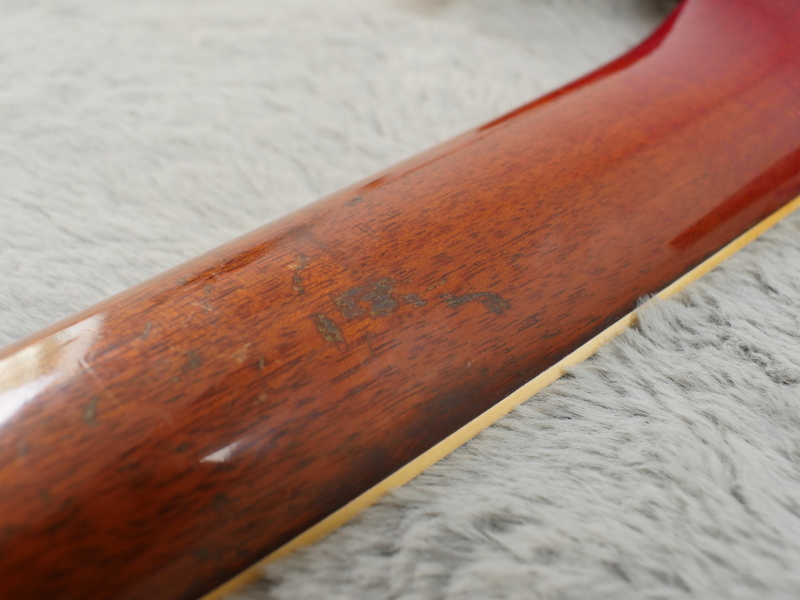 Couple of things we should point out, there is one saddle screw that is slightly later than the other five but we are actively looking for a period correct replacement and for some reason that will forever remain unknown, it was stamped with a tiny ‘2’ just above the serial number.